Do you feel tired and sluggish every day? Do you have constant aches and pain for no particular reason? You may be suffering from excess sugar in your diet. 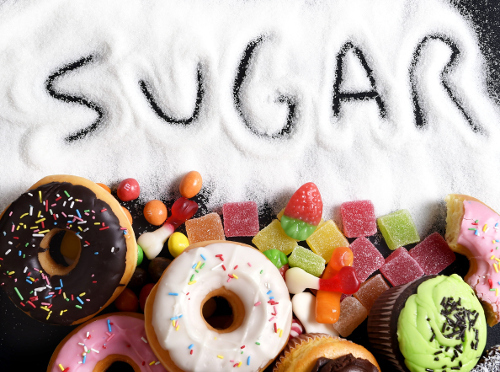 We know that continuous consumption of refined sugar can lead to serious health complications such as kidney damage. Avoiding sugary foods and snacks is easier said than done for those with constant sugar cravings and even sugar addictions. We’ll take a look at some sugar detox diet benefits and share tips on the best way to detox from sugar. A sugar detox program is intended to teach you the benefits of avoiding refined sugar, the hidden sugar in processed food products, and tasty substitutes that will hopefully quash your craving for sugar. By following a sugar detox plan, you may have more lasting energy and improved mental, physical, and dental health. Sugar has been shown to lead to issues of depression and anxiety. The British Journal of Psychiatry published a study of middle-aged men and women who followed either a processed food diet or a healthy diet. Those consuming a high amount of refined sugar products were found to be more at risk of depression than those eating healthy. In a bowl, whisk the eggs, sea salt, and pepper. In a medium non-stick skillet, add the extra virgin olive oil and sauté the spinach and mushrooms. Drain and remove from skillet. Add half of the eggs to the skillet and add spinach and mushroom mixture as eggs start to firm, Fold and cook on the other side. Repeat for second egg. Add vegetable broth and lentils to a sauce pot and bring to a boil on high heat. Lower to medium and simmer for 13 minutes before adding the sea salt and simmer for another to minutes. Drain the lentils and add to a bowl of onions, spinach, and tomatoes. Hyman, M., “10 Incredible Health Benefits of a Sugar Detox,” Ecowatch, July 7, 2015; http://www.ecowatch.com/10-incredible-health-benefits-of-a-sugar-detox-1882063339.html, last accessed April 17, 2017. Mitchell, T., “5 Benefits of a Sugar Detox,” Chicago Now, February 11, 2015; http://www.chicagonow.com/get-fit-chicago/2015/02/5-benefits-of-a-sugar-detox/, last accessed April 17, 2017. “Save Time. Save Money. Eat Sugar-Free,” Sugar Detox Me; http://www.sugardetox.me/recipes/, last accessed April 17, 2017. “Top 10 Big Ideas: How To Detox From Sugar,” Dr. Hyman; http://drhyman.com/blog/2014/03/06/top-10-big-ideas-detox-sugar/, last accessed April 17, 2017. “Foods To Avoid on 21 Day Sugar Detox,” Paleontastic, May 4, 2014; http://paleontastic.com/foods-to-avoid/, last accessed April 17, 2017. Shanks, N., “7 Reasons Why You Should Not do a Sugar Detox,” Nia Shanks, July 2, 2015; http://www.niashanks.com/sugar-detox/, last accessed April 17, 2017. Akbaraly, T.., et al., “Dietary pattern and depressive symptoms in middle age,” The British Journal of Psychiatry, November 2009; https://dx.doi.org/10.1192%2Fbjp.bp.108.058925, last accessed April 17, 2017.